here is a little peek at a wedding invitation suite in the works. 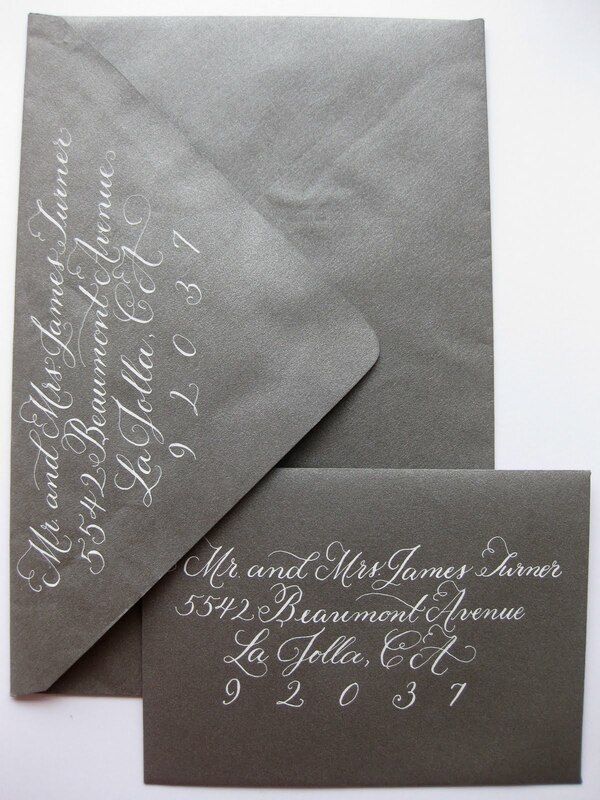 the ceremony and reply cards are printed on a lovely white card stock in metallic silver ink. the white card stock is backed with a coordinating pewter card stock. i then hand paint clusters of billy balls on each card to bring in the yellow tones of her wedding plan. before painting each card, i use watercolor pencils to make sure each cluster of flowers is placed correctly. the bride chose to have the envelopes calligraphed, and honestly, i can't get enough of it. so beautifully done. by dancing pen.